A unique blend of 5 essential oils and the goodness of Aloe Vera for soft and supple skin. 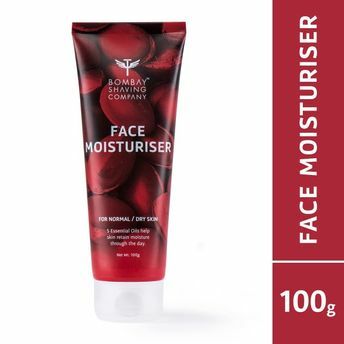 Bombay Shaving Company Face Moisturizer is non-greasy and fast absorbing. It helps retain moisture and repairs cracks for a healthy and well-nourished glow. Key Ingredients: Jojoba oil, Avocado oil, Argan oil, Babassu oil, Shea butter, Aloe Vera and Passion fruit. Explore the entire range of Face Moisturizer & Day Cream available on Nykaa. Shop more Bombay Shaving Company products here.You can browse through the complete world of Bombay Shaving Company Face Moisturizer & Day Cream .